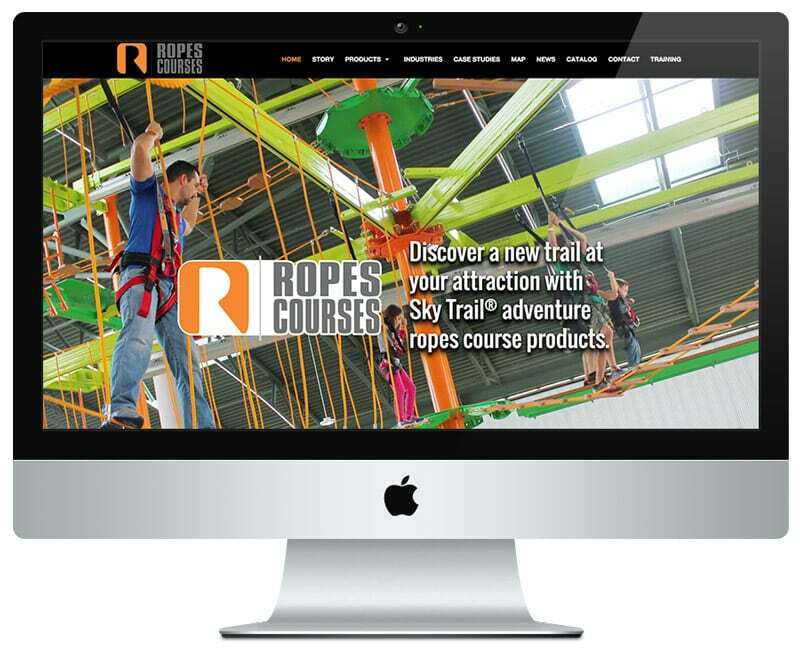 Ropes Courses creates dynamic and fun adventure products for amusement parks and cruise lines and ships them all over the world. Our web design accounted for photos, renderings and videos that are displayed in a new format to better showcase the products they deliver. We built an online presence with enhanced features that increases online conversions. The main highlight is how we used multiple content types to build dynamic product pages. In addition to the slideshow, image gallery and product description, we automatically flowed in case studies that are related to the product. Each product can also be tagged by product type and industry, making other views available to help their prospective customers find what they are looking for quickly. Product pages are designed to showcase the design and complexity of what they produce. With a simple checkbox association, each product can be linked to a case study. We built a specific content area to add and maintain case studies. Then, as we mentioned above in the product page area, the case studies can be tagged by product, as well as by industry, and then feed onto the associated product pages. This type of integration allows for dynamic page content with ease of use on the administration side. No more worrying about layout and design; just click to create the link to a specific product and the application does the rest. This is primarily a taxonomy to help organize products to improve the user experience. A list of products by industry is available for the sales team to quickly showcase products to prospective customers. Industry content can be expanded for further education. There is a membership system enabled to provide training material to existing customers. Each customer has access to the the training portion of the web site for access to videos and manuals. After the site was launched, we were hired to integrate the web site to their Salesforce data. The interactive map displays product installations around the world and zooms in on the visitor's location to quickly locate fun and entertaining products near them. We integrated our web site content with their custom Salesforce API to produce a unique and informative visitor experience.